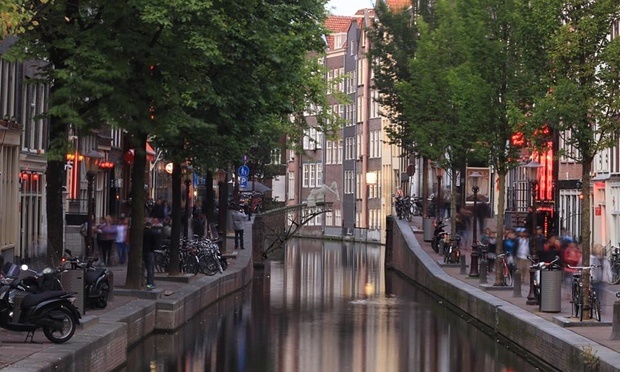 A Dutch startup company, MX3D, is planning to be the first to print a steel bridge across a canal in Amsterdam. Although 3D printing has been around for quite some time, mostly focusing on smaller scaled projects – even metal structures – printing a bridge would be a world first. The bridge is small, for pedestrians use, but nonetheless this would be quite the impressive feat if all goes as planned, and not to mention can set an example for future, bigger construction projects. Especially those construction projects that involve difficult tasks for humans or start to reach dangerous heights. The bridge will use specially designed robotic arms to “print” the bridge’s steel structures. The robotic arms, which will be on opposite ends of the bridge, will heat metal to 2,700 degrees Fahrenheit and weld together metal pieces one by one, being able to place the tracks in any directions – whether horizontally, vertically or diagonally. All the while using a computer program to make sure the pieces and design are plotted out accurately. Also, since the robot arms use the bridge’s structure for their own support, there is no need for any additional work space. MX3D hopes to get this project going by 2017, and although they do plan to build it in Amsterdam, they are still working with Amsterdam’s city council to determine the exact location to place the bridge. Check out the video below about 3D printing and let us know what you think! Will 3D printing be the next construction tool?